How do we gather a community of Georgia residents to openly look at and discuss the difficult past (and present) of incarceration? How do we honestly negotiate our own relationship to incarceration, issues of race, and the impact of forced labor on our everyday experiences as Georgians? Encountering the archival material in the exhibit’s display cases, “how exactly do [we] put emotion back into the inanimate” objects of this felt history? Model a method of inquiry and social change, starting with (and centering) the body. Film and Literature, including: CD Wright’s One Big Self, DaMaris Hill’s A Bound Woman is a Dangerous Thing, and Ana DuVernay’s 13th. Conversations via virtual movement exchanges with incarcerated collaborators at Whitworth Women’s Facility and Metro ReEntry Detention Center through Common Good Atlanta faculty. Dr. Caroline Young (Common Good Atlanta), Dr. Julie B. Johnson (Spelman College), and Spelman dance students and staff visiting Whitworth Women's Facility. We listened and improvised again, letting the themes of time and change be present in our consciousness as we moved. We focused in on one particular movement, repeated it, and gave it a name. We used these prompts to choreograph short movement phrases (duets and trios). And our discussion with women at Whitworth about being present in the moment as a practice of freedom… not being hung up in the past, not trying to look ahead to the future, just being present in the moment, taking life day by day, and knowing one’s presence in each moment has meaning and value. We discussed CD Wright’s positionality as an insider/outsider in her poetic ethnography of prisoner’s in the south. We read the Whitworth collaborators’ reflections on being insiders/outsiders in prison. We wrote reflections on our own experiences as insides/outsiders, used them to generate short individual movement phrases, and combined the phrases into one collaborative group section. During our meeting with the women at Whitworth, they shared experiences around the concepts of names in prison. It seems that more often than not, they are referred to by their last name or by a nickname, but not by their given first name. They spoke of this as a form of dehumanization and institutionalization. Dancers researched their names and created solo phrases based on their names’ meanings, origins, cultural or personal significance, cadence, etc. We understand these name dances as a mode of resistance, power, and freedom. We will be sharing an interactive performance-workshop-dialogue with audiences to bring them into the Phase I process. This event will feature students of Choreographic Process II, Spelman Dance Theatre, and the Social Justice Fellows Program. 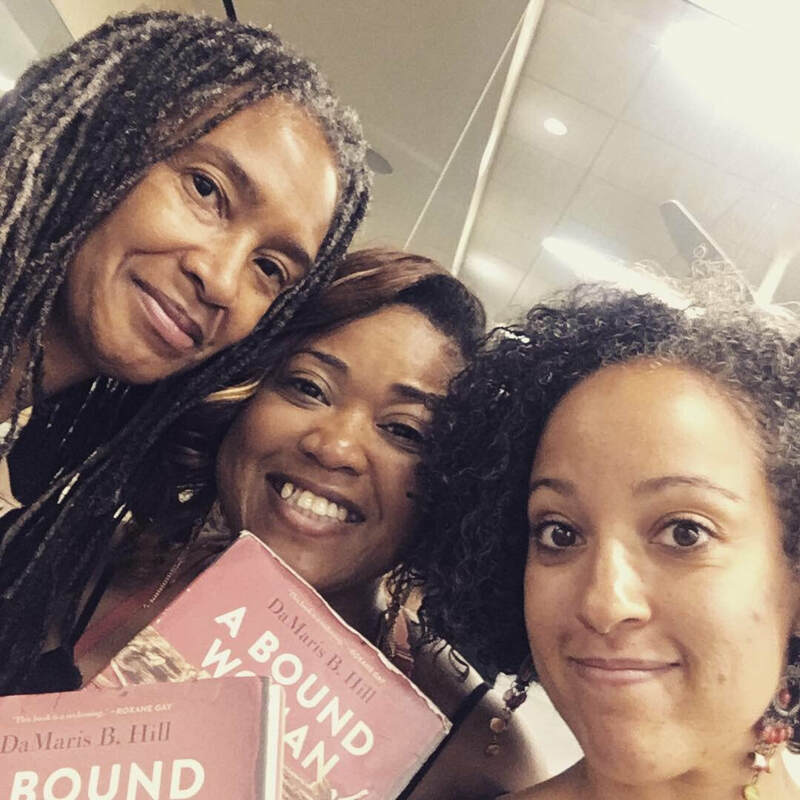 We collaborated with the Social Justice Fellows Program and Dr. Sharan Strange's Creative Writing course to bring Dr. DaMaris Hill, author of A Bound Woman is a Dangerous Thing, to Spelman on April 10th. 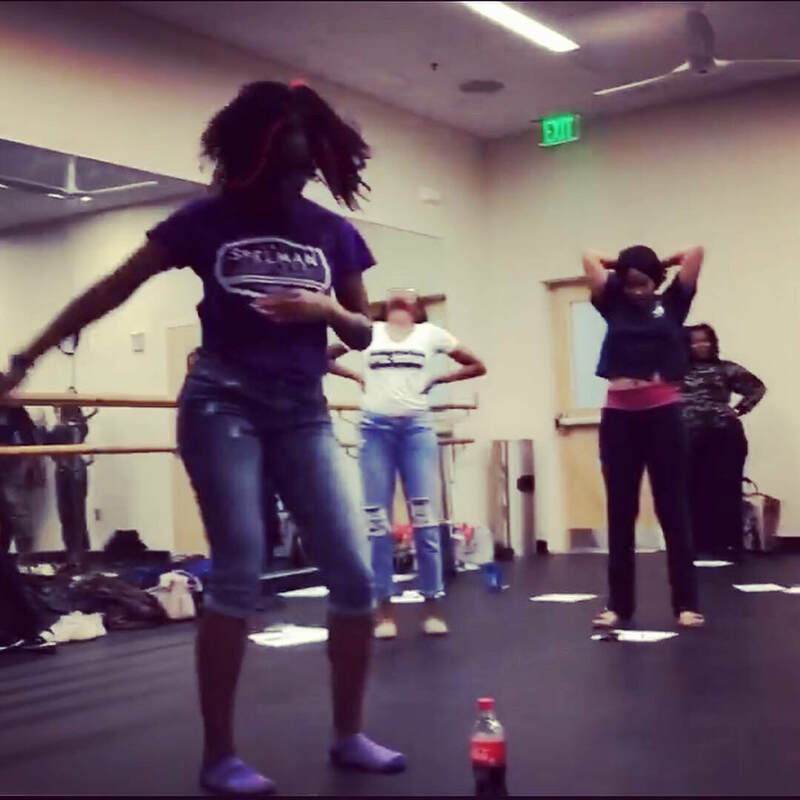 We co-led a workshop for dance and creative writing students focused on written and embodied responses to Dr. Hill's poetic work. Social Justice Fellows will present their own research on mass incarceration as part of our end-of-semester event, and will create visuals based on this research to be displayed throughout the performance space. We have developed a relationship with Chaplain Susan Bishop of Lee Arrendale State Prison. 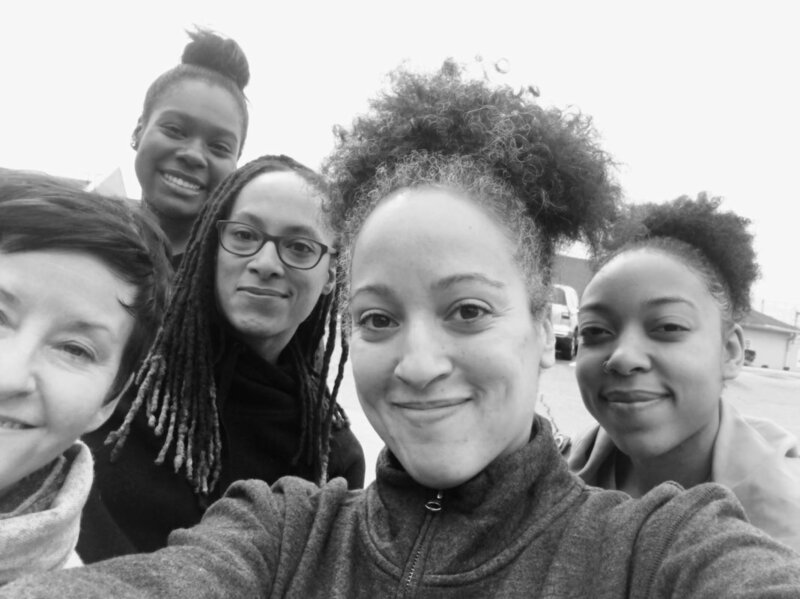 Our administrator, Morgan Hawkins (also a choreographer/dance educator) is leading a workshop for inmates along with a Spelman dance student who is connecting this work to her fieldwork project for the course, Teaching and Leading Through Dance. 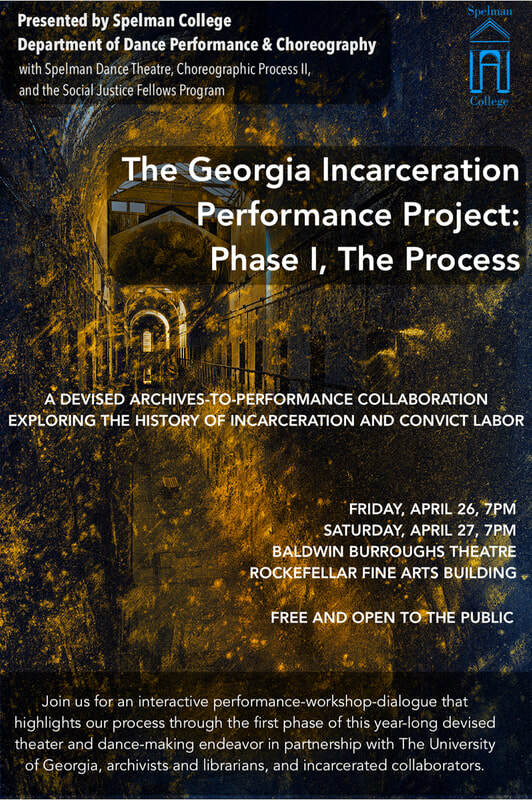 I will present a performance installation at The Museum of Contemporary Art (MOCA-GA) from June 27 - August 29th entitled "Idle Crimes and Heavy Work," which builds on the Phase I process of The Georgia Incarceration Performance Project. The MOCA-GA show is focused on the narratives and experiences of black women within the history of incarceration and convict labor, as well as linkages between gendered and racial violence to historic sites of forced labor and imprisonment in Atlanta. In addition to exploring these narratives of violence, I amplify black women's modes of resistance, restoration, and joy in midst of oppression.